Hi! I m an English teacher in Brazil and it s been a pleasure to share activities with all of you. Greetings from Brazil!!! 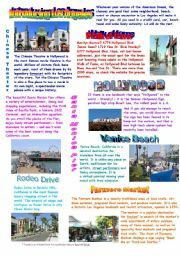 This city guide is nice to introduce vocabulary related to travel and show some popular tourist attractions in LA. Hope you like it! 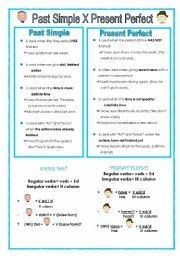 This worksheet shows the differences between simple past and present perfect including examples as well. There are also exercises with keys included! I hope you like it!!! Grocery Shopping- Do grocery stores manipulate us or are we our own worst enemies? This is a multi-task lesson. It�s about going shopping and some tips about what we should and shouldn�t do when going shopping. There is a speaking, listening and reading activities with options for writing as well. I hope you like it!!! 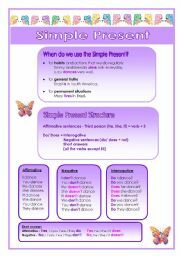 This is worksheet shows the grammar points of the Simple Present tense. Exercises are included! 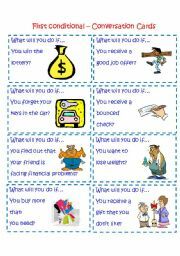 This is similar to the one I�ve made about simple past x present perfect. [http://www.eslprintables.com/printable.asp?id=122336#thetop] Hope you like it! 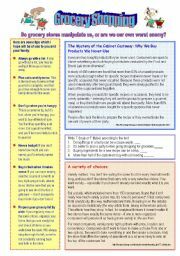 This worksheet can be used to introduce new vocabulary related to shopping (e.g. rip-off, browse for sth, return policy, etc.). SS have to complete the dialogues with the expressions from the box. Hope you like it! This is a nice way to talk about going shopping and its idiomatic expressions. There are two exercises that can be used to introduce new vocabulary (e.g. to refund, to exchange, warranty, shopping spree, shopaholic and etc.). It�s also good for practicing conversation with the SS. I hope you like it! 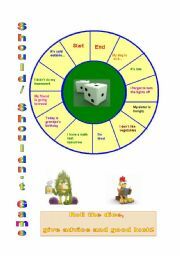 This game can be used to practice should & shouldn�t! I hope you like it! SS can use these cards to practice conversation as well the first conditional. I hope you like! This PPT is a version of my worksheet about the same topic. It can be used to have a fun class. Hope you like it! 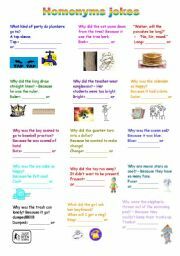 This is the second part of my homonyms jokes worksheet version. I hope you like it! I couldn�t upload in the same file due to its size!